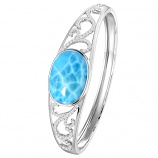 Larimar jewelry is sought after for its tranquil blue and white patterning that mirrors ocean waves. 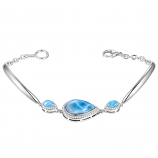 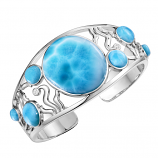 At The Cedar Chest Fine Jewelry, one way that we display this rare stone is by encapsulating its beauty in stunning sterling larimar bracelets that can be worn on special occasions or daily. 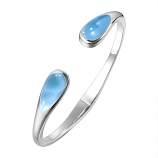 Whether you prefer a cuff or bangle style bracelet, you’re sure to discover the next piece to your collection when you browse and shop our online site or in our Sanibel Island, Florida store. 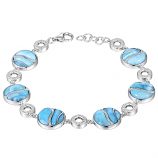 We refresh our selection frequently – so be sure to check back frequently for access one-of-a-kind pieces as they become available. 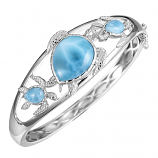 Have Questions About Our Sterling Larimar Bracelets Collection?